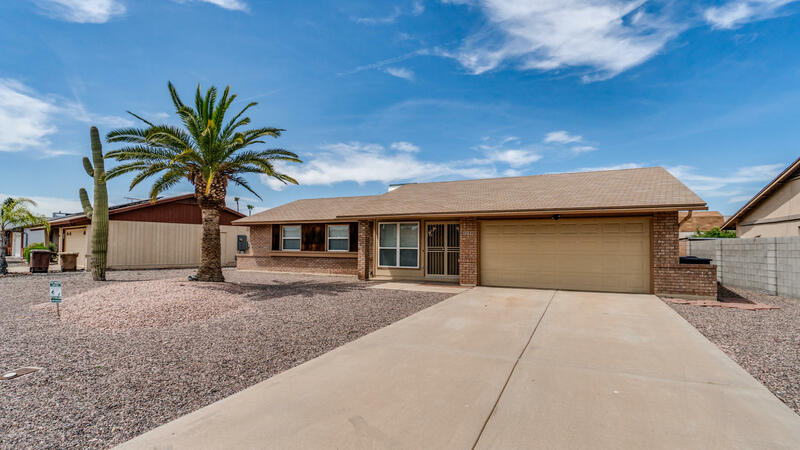 All COUNTRY MEADOWS homes currently listed for sale in Peoria as of 04/19/2019 are shown below. You can change the search criteria at any time by pressing the 'Change Search' button below. 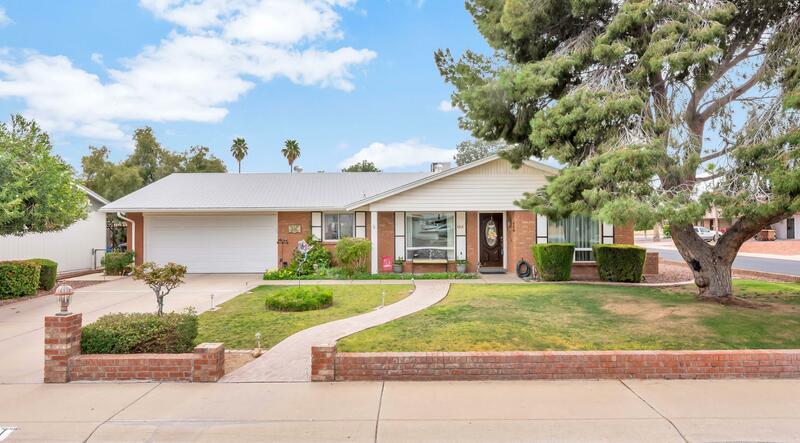 "A GEM ON CORNER LOT WITH BEAUTIFUL LANDSCAPED YARDS FRONT AND BACK. Vinyl FENCING.STEP IN TO INVITING LIVING ROOM WITH BRICK FIREPLACE, FORMAL DINING ROOM, GOURMET KITCHEN WITH CORIAN COUNTER TOPS, EXTENDED FAMILY ROOM WITH NEWER WOOD FLOOR, LARGE MASTER BEDROOM WITH BIG WALK IN CLOSET AND MASTER BATH WITH SHOWER. 2ND BEDROOM IS ALSO GOOD SIZE. DUAL PANE WINDOWS T/O INSIDE LAUNDRY ROOM HAS LOTS OF STORAGE AND EXITS TO THE GARAGE, ENTERTAINER,S BACKYARD FEATURES BEAUTIFUL SPARKLING PLAY POOL, "
"Stunning home with lots of character! This home boasts beautiful hardwood and custom tiled floors and exquisite brick fireplace. The master is complete with double sinks, sunken garden tub and separate shower. Windows updated to dual pane for maximum energy efficiency. This kitchen hosts double sinks, rich cabinetry and a breakfast bar. A spacious dining room adds options for entertaining! Step outside onto the covered patio and take in this extended patio and greenery. A fountain and garde"
"This beautiful 2 bed, 2 bath has been updated! Fresh neutral interior and exterior paint. Spacious living area, All bedrooms contain plush carpeting, spacious closets and ceiling fans. 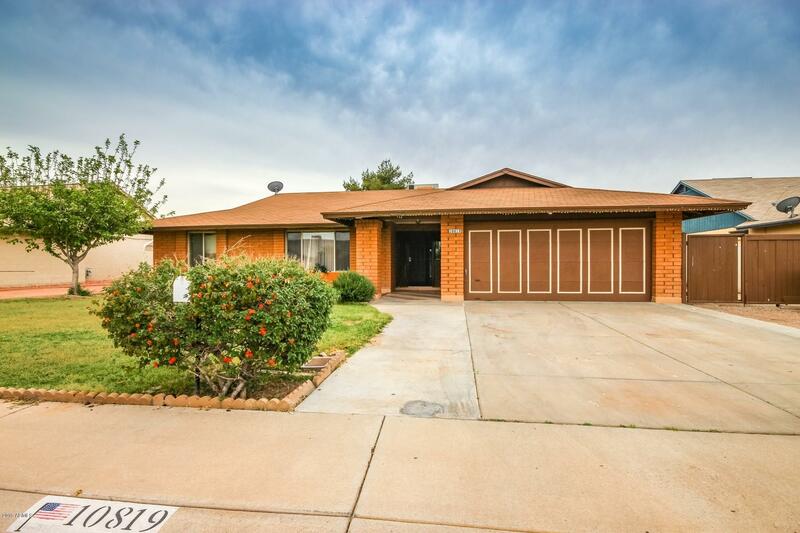 Both bathrooms featured recent updates and this home is definitely a Must see!"